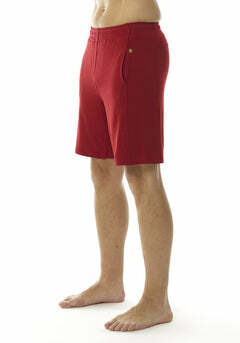 A lightweight, breathable and quick drying multi-functional 100% organic woven short. Built to run, swim, bike and stretch in. It’s got an in-built mesh sports pant for support and ventilation. The side slits are reinforced and lined with an organic bamboo fabric to ensure no friction. The zipped back pocket ensures your digital companion won’t jump out during training and you’ve side pockets to keep your gibbons in. Crafted to be lightweight, rapid drying with maximum ventilation. Inspired by the Harem pant, these modern and rugged looking sweat pants are crafted from our stretchable organic cotton and bamboo fabric, Bamboton. This pant will breathe, wick moisture away, keep you warm in the cold and cool in the heat, whilst resisting bacteria and fighting odours. Refinement is stitched into every detail; from cotton poplin trims around pockets, mesh lined contrast pockets, a cotton braided draw chord and embroidered logo at back. Zipped hems to widen or tighten the fit around ankles and a rear pillow pocket to stop smart device from jumping out whilst warming up.